Denali lodging at its best, Skyline Lodge is the operations base for Kantishna Air Taxi and its crew. 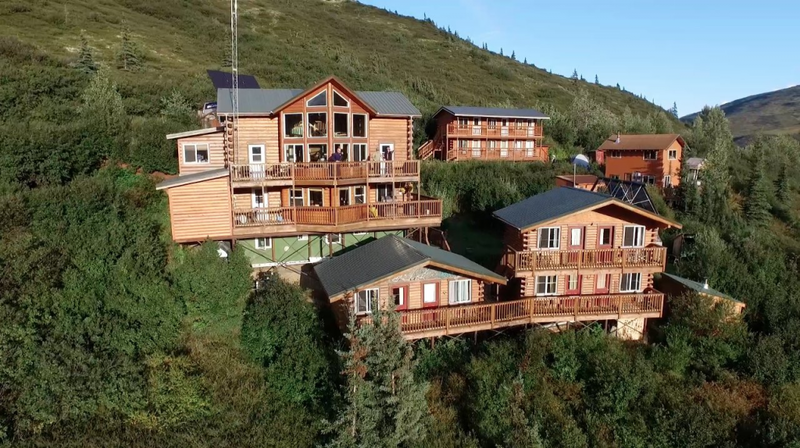 Located deep within Denali National Park in Kantishna (Mile 92 of the Park road), Skyline Lodge is the closest you can get by road to Denali’s high peak. We are only 20 miles away from the towering North Face of Denali. This solar-powered lodge can accommodate up to 10 guests in five comfortable rooms. As the only small lodge in Denali National Park, we’ve been able to create a genuine experience away from the crowds, making Skyline one of the most unique lodges in Alaska. Skyline Lodge is the ideal base for independent travelers who want to explore Denali’s rich history, geography, flora and fauna.